Unlike other veteran metal acts whose dedication to the genre peters out as the years rack up, Overkill remain dedicated to continuing on in their original direction, as evidenced by their 15th album overall, 2007's Immortalis. Trends may come and go, but you know that Overkill are always good for supplying some good old-fashioned crunchy thrash metal, and that's something you've got to respect. And all these years later, singer Bobby "Blitz" Ellsworth can still screech with the best of them. For old-school thrash metal, Immortalis is a true exhibition, as evidenced by such hard-hitters as the album-opening "Devils in the Mist" as well as "Shadow of a Doubt" and "Skull and Bones," the latter of which features Lamb of God's Randy Blythe guesting on vocals (who does his best drill instructor impersonation). 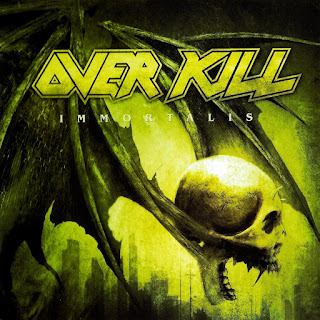 All these years later, you still know what's in store each time you pick up a new release by Overkill. And that's just the way their fans like it -- Immortalis is no different.